Bellator MMA today confirmed that Sunderland’s very own Ryan “Big Baby” Scope (10-2) will face American Derek “The Stallion” Campos (19-8) in the co-main event at Bellator Birmingham: Primus vs. Wilde. The event is the second in the Bellator 2019 European Fight Series and the announcement comes after a number of top British and Irish mixed martial arts prospects were added to the card last week including Saul “The Hangman” Rogers, Brian “The Pikeman” Moore and Dominique “The Black Panther” Wooding. Lightweight prospect Ryan Scope, who fights out of Sunderland, U.K. will be looking to claim his first win for the Bellator promotion. Scope will fight for the first time since suffering a narrow split-decision loss against perennial Bellator contender Patricky “Pitbull” Freire in his last outing in the main event at Bellator Newcastle: Pitbull vs. Scope. Standing in Scope’s way is the experienced Derek Campos, who fights out of Lubbock, Texas. 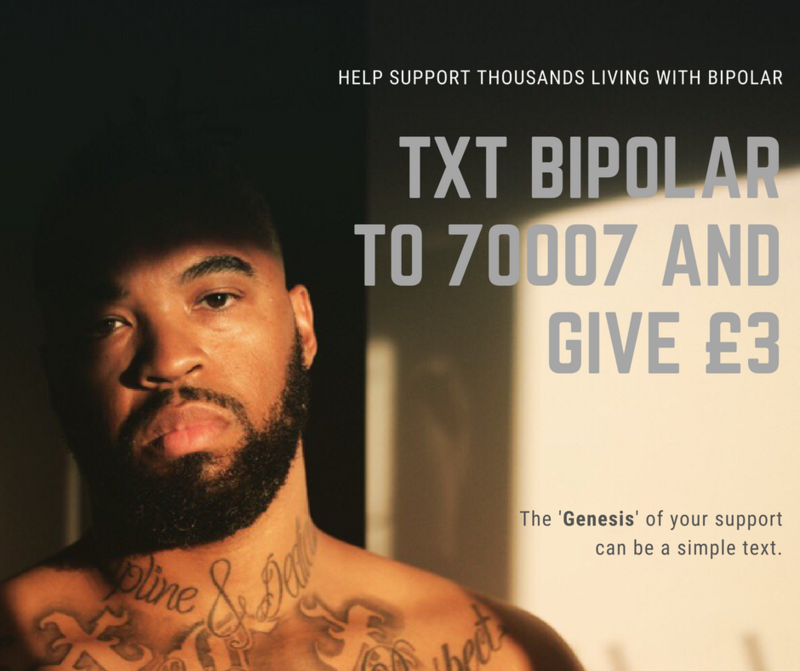 “The Stallion,” who signed for Bellator in 2012, will be looking to claim his 20th professional MMA victory when he takes on Scope, as he bids to end to his current two fight losing streak. 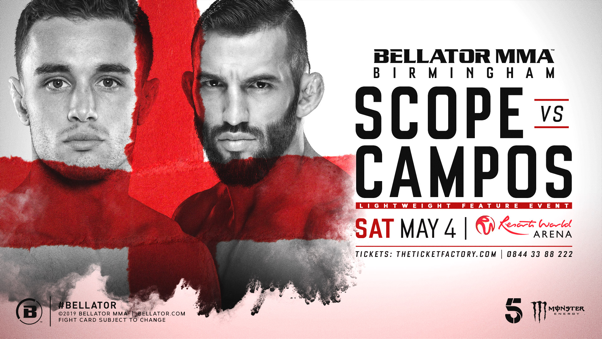 Campos, who has been a professional since 2009 making 14 appearances for the Bellator promotion, will make his first professional appearance outside the U.S.A when he enters the cage in Birmingham on May 4th. With many more bouts set to be announced in the coming weeks, fans are advised to follow@BellatorMMA on Twitter for all the latest updates onBellator Birmingham: Primus vs. Wilde.